Welcome the the HGC Events page. Here you will find all the events the the HGC family is involved in. Check back often as we are always doing something to assist the home grower. 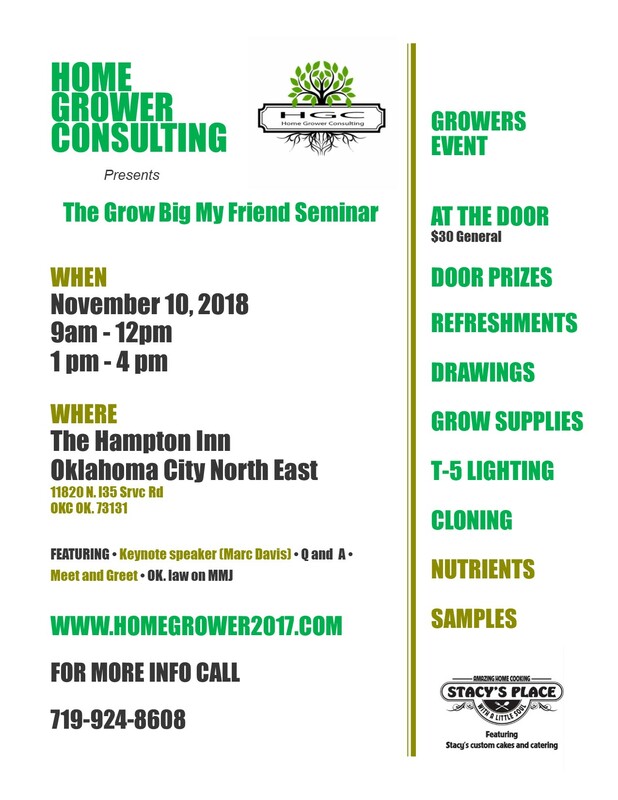 The GROW BIG MY FRIEND SEMINAR is happening September 22, 2018 in Oklahoma City OK. Oklahoma just passed the State Question 788, giving the people of the State Medical Marijuana. Come join us while we explain the Oklahoma Home Grower law, and give valuable information to the home growers in the State of Oklahoma. Get your tickets today, click the button below.